How many people realize sequestration, which The White House continually warns will be a “disaster” for the country and its citizens from Arizona to Connecticut, was actually The White House’s brain-child??? Don’t listen to the hype … or the lies. The sky, if it falls, will not be the sole responsibility of Congress. Heck, it wasn’t even their idea. The Public is a pawn in this chess game. The political pressure being applied by The White House, in the form of Dire Economic Impacts on individual states and even the victims of Superstorm Sandy, is intended to force Congress (i.e. Republicans) – by portraying them as the troublemakers – to cave in so they can pass to the American people an even bigger financial federal budget burden without cutting a single one of the Democrats’ Sacred Cows. Sequestration was the gamble suggested by then White House Chief-of-Staff Jack Lew (Secretary of the Treasury nominee) and White House Congressional liaison Rob Nabors. It was endorsed by President Obama before being presented to the Senate Finance Committee, and proposed as a negotiating strategy to Senate Majority Leader Harry Reid (D-Nev) during the 2011 negotiations to raise the National Debt Ceiling. Certainly House Republicans accepted the sequestration as part of those negotiations, but it wasn’t their idea; it wasn’t their gamble. It was the President’s idea of “leadership” in difficult political times. Push it off; deal with it later. Maybe, just maybe it will go away on its own. Keep that in mind as you continue to hear about how Sequestration will damage your benefits; your income; your local economy! 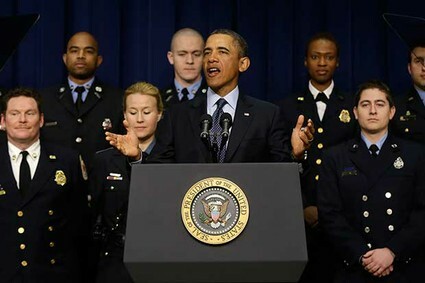 Remember it when The President shows up on C-Span or the nightly news speaking about the dangers of sequestration and surrounding himself with Emergency Responders, teachers, healthcare workers, and seniors warning about all the damage the sequestration cuts will entail. Sequestration: The President’s ugly child!